Growing up, we ate a lot of processed foods – Hamburger Helper, Macaroni & Cheese, Lunchables. Somehow I survived… I also ate a lot of canned soup. The lentil soup from Progresso was one of my favorites. I recently tried it again… Ummm… Huh… (scratching head). How did I survive? 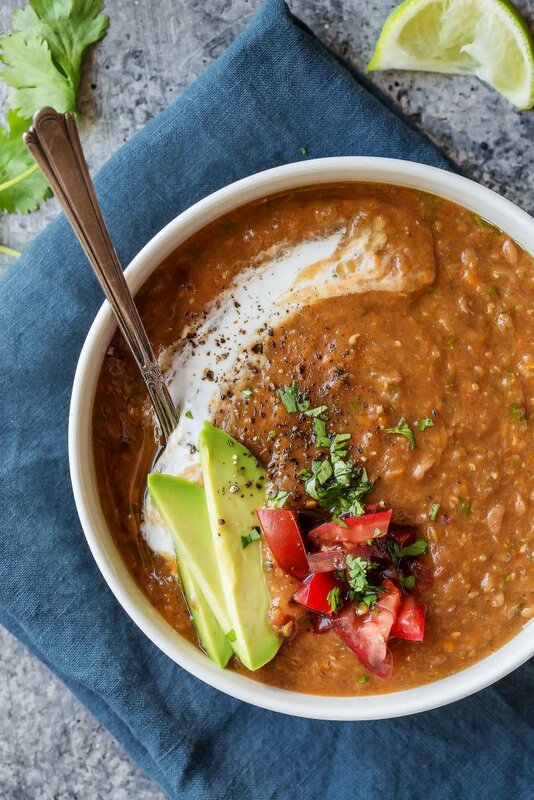 Time to step things up a notch – Let’s give that lentil soup an upgrade. The first thing I decided needed to be thrown into the mix was sausage. I went with mild Italian sausage… Debating first on using spicy sausage. I decided that it might be a bit too spicy, and figured that I could spice things up at the end with some red pepper flakes if it needed it. This is also great for those who don’t really care for the heat. 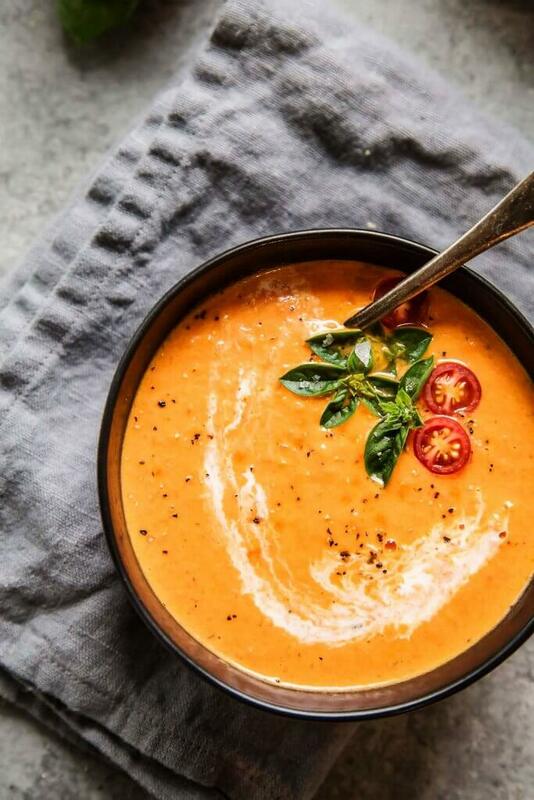 You can totally customize this soup to fit your tastes – I threw in a teaspoon of red pepper flakes at the end to give that hint of spice. However, you could totally leave them out if you want. Or, really light things up by throwing in more. I used some of my homemade slow cooker bone broth as the stock (I had it on hand in the freezer), but you can swap it out for some boxed chicken broth too. They’ll both work just fine and will be amazingly seasoned at the end of the cooking process. That’s because the lentils cook in the stock. They’ll simmer away in there with some crushed tomatoes and will soften up to a wonderful, almost creamy texture. Once they reach that perfect texture, and the soup is nice and thick, we’ll add in some kale at the end. I’m using baby kale. I prefer the texture and find it to not be quite so bitter as the “adult” version. Look for it in tubs by the pre-packaged salad mixes. Don’t be shocked by the 5 cups that we’re adding in there. It’ll look like way too much at the beginning, but in just a few quick minutes, it shrinks down to almost nothing. 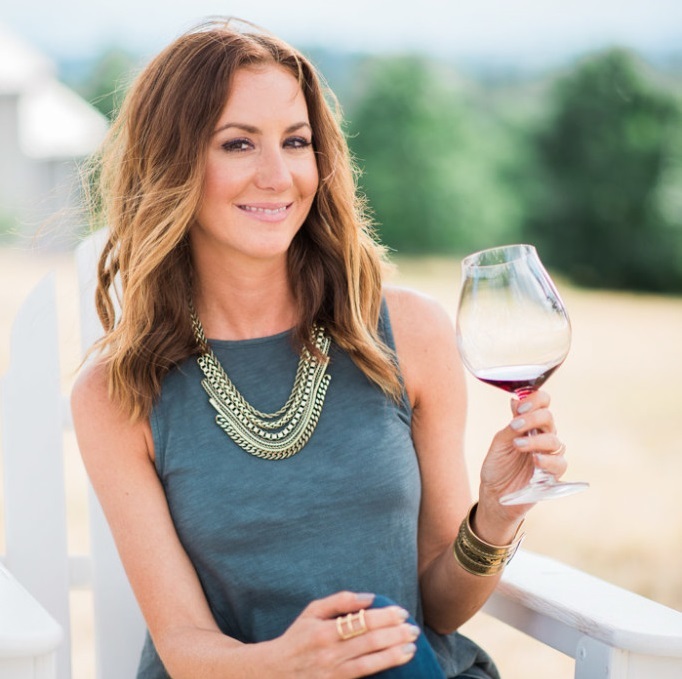 I love knowing that I have 5 cups of nutritious kale packed in there – Hello healthy! Not to mention, all that fiber that the lentils add too… I’m making up for aforementioned Hamburger Helper. To finish off this sausage lentil kale soup I added in a splash of red wine vinegar and some fresh parsley. It helps to brighten up everything at the end. Don’t forget to season with salt and pepper too – You’ll need a good sprinkling of both, but it will depend on the salt content of your chicken stock… So, dress it up at the end to your liking. Have you made any upgrades to some of your favorite childhood foods? I’d love to hear in the comments below. In a large Dutch oven or heavy pot, cook sausage over medium-high heat until the meat crumbles and begins to brown, about 5 minutes. Add onion, celery and garlic and cook until softened, about 5 minutes. Add stock, lentils, red pepper flakes and tomatoes and bring to a boil. Reduce to a rapid simmer, partially cover, and cook until lentils are tender, 30-35 minutes. Add kale and simmer, uncovered, until tender, 2-3 minutes, Stir in vinegar and season with salt and pepper, to taste. Sprinkle with chopped parsley before serving. This looks SO good! 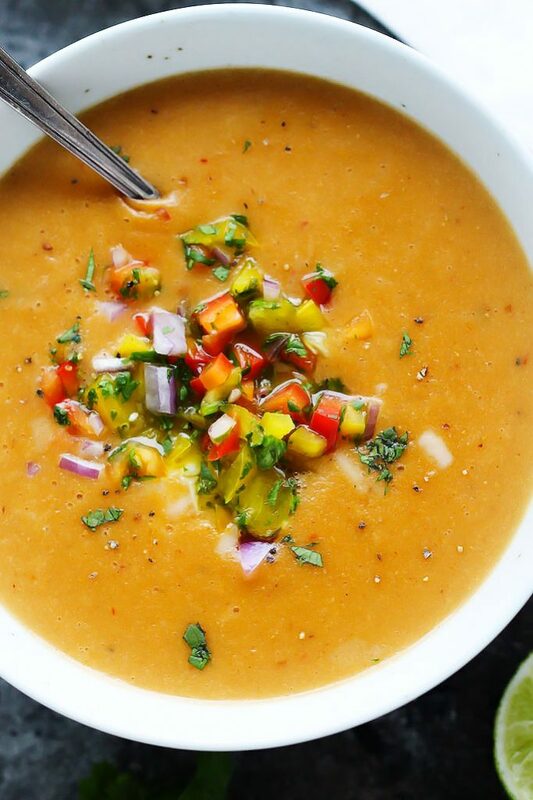 I love comfort soups like this during the cold weather months! Thanks Marlynn – I do too! 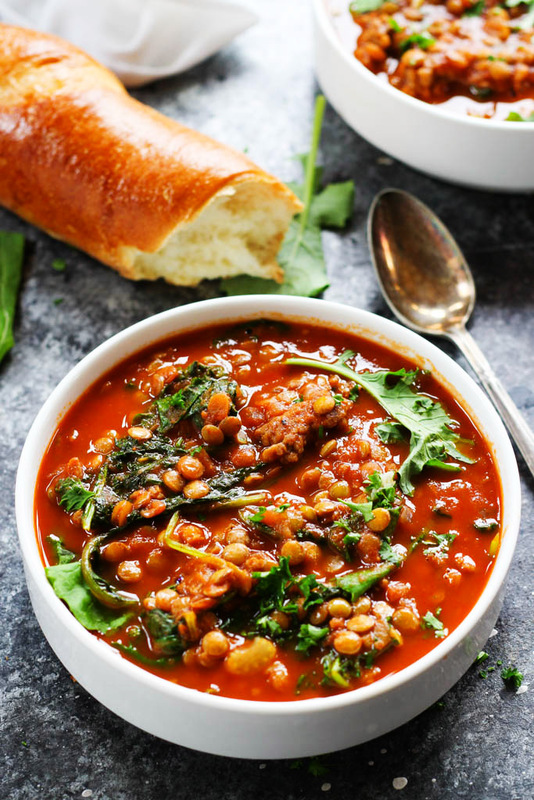 This soup looks like a great winter warmer and so hearty! Haha, I hear you on processed soups! My husband still loves Progresso tomato, but I’m like, eh. I’ve been making a lot of soup from scratch this winter but haven’t tried something like this. Yum! This soup looks DELICIOUS! 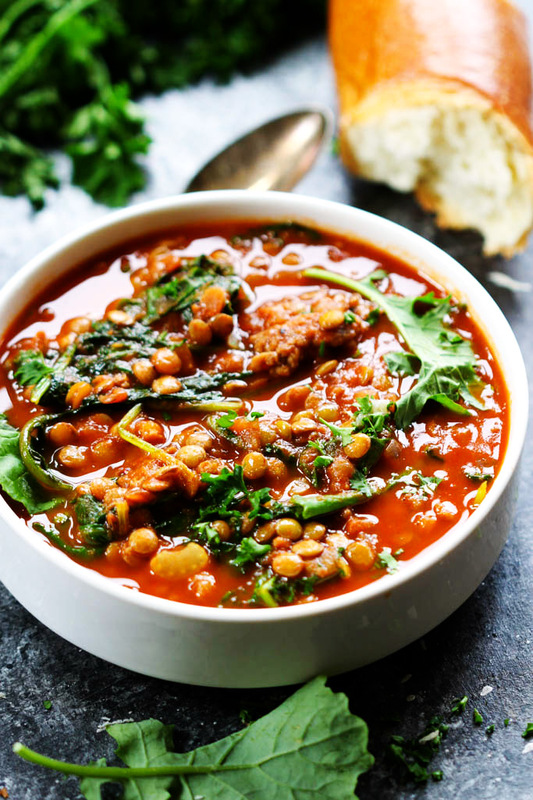 My parents actually used to make a lentil soup that is very similar to this, and that’s when my love of lentils started. They’re so underrated, aren’t they? Can’t wait to try this recipe! Thanks Isabel! I love lentils too. I don’t know what it is about them… But they definitely are my favorite in soup! absolutely perfect for steam up our winter! 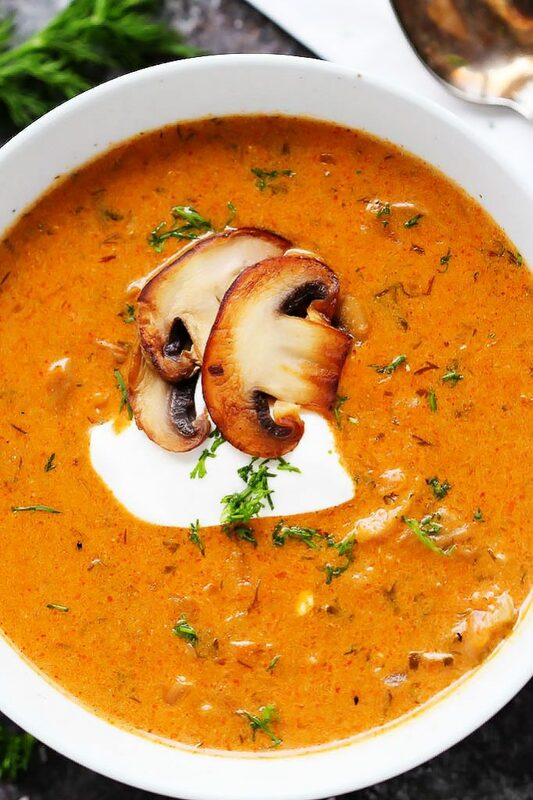 Great looking soup! This is perfect for a cold winter evening! Thank you Marisa – I agree, it’s perfect for chilly nights! This looks wonderful! Perfect for the freezing cold weather here in Chicago today!! Best. Soup. I’ve. Ever. Made. I grew up on a lot of processed foods too…there’s no way I could eat like that today. My oldest son, when he was little, had a canned lunch that I won’t mention at a friend’s house and came home and begged me to buy it. I finally did it, and when he ate it, he changed his mind…he actually said something to the effect of “I don’t know why I liked it, it doesn’t really taste very good.” Too funny! Anyway, this is my kind of soup! I love lentils, and my kids do too! My whole family would love this!